I couldn’t decide between Shatner or Wheaton. I decided to go with the more efficient Wil. He’s on your floppy disk with your 60 other mortal enemies, right? Where there’s a Will, there’s a Wheaton. ALWAYS go with the Shat! 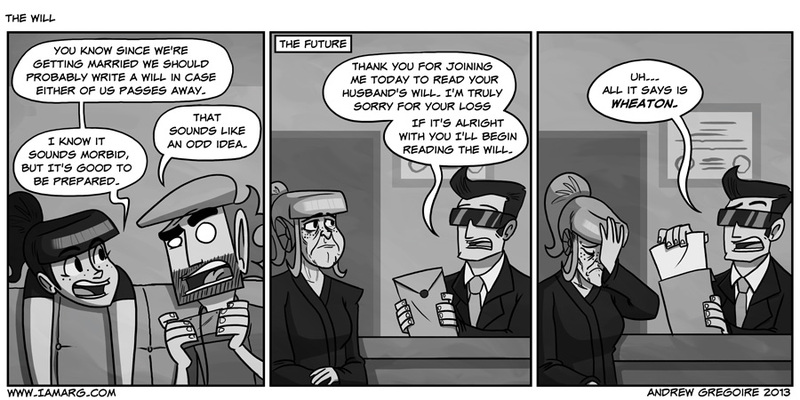 i wish it had been future Lynn receiving the will.